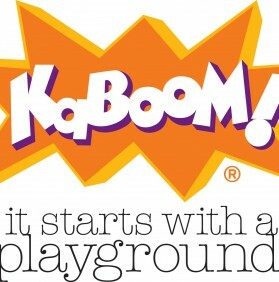 KaBOOM!, a nonprofit organization headquartered in Washington, DC, partnered Disney/ABC11 with Durham Parks & Recreation to transform Oakwood Park. Keep Durham Beautiful is the project’s local nonprofit partner. What: Building a new Oakwood Park! The park will be built by volunteers in the local Durham community. Join us! Where: Oakwood Park is located at 411 Holloway St., at the corner of Holloway Street and Oakwood Ave. near downtown Durham, NC. The park is straight across Holloway Street from the ABC11 studios and diagonally across from the main Durham County Library. When: Prep Day will be on Thursday, October 31, from 8-4. Build Day will be on Saturday, November 2, from 8-3. Why: To give a fun and engaging park to the children and everyone living in and around downtown Durham! Volunteers will sort and separate all the new playground equipment into build kits; cut lumber and prepare build kits for tables and benches; assist with digging the holes for the support posts and other tasks that prepare for the Build Day. Volunteers will install the playground, build the benches and tables, install new gardens, and put the safety surfacing in place. At 3 p.m. we celebrate the completion of the project. The audio books offered by unite for literacy are all free and my son is 17 and has become very lazy and will not do homework you can use them right off the website.